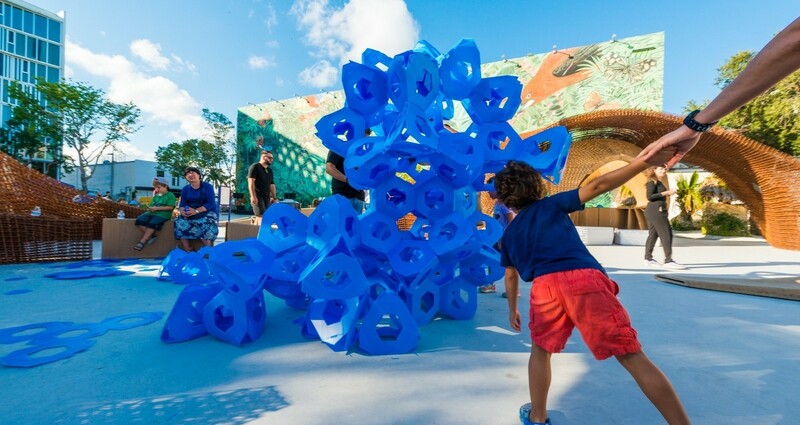 Designer Noa Haim/ Collective Paper Aesthetics creates 600 blue polypropylene rings and 4200 connectors For the grand opening celebration of ICA MIAMI. 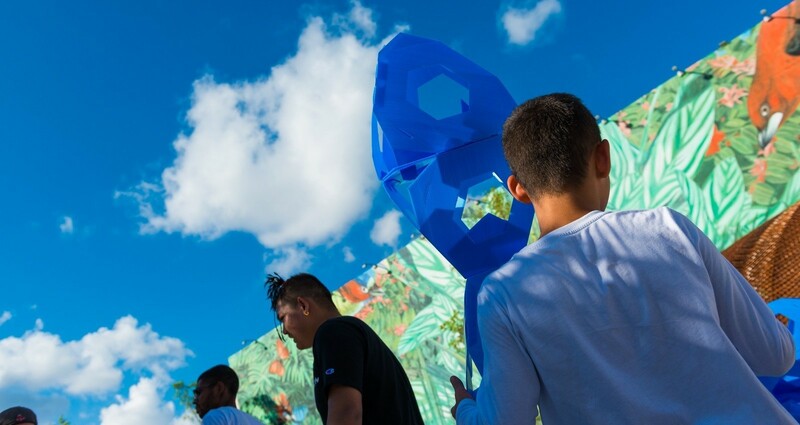 The Institute of Contemporary Art, Miami's newest museum dedicated to innovative and experimental contemporary art. 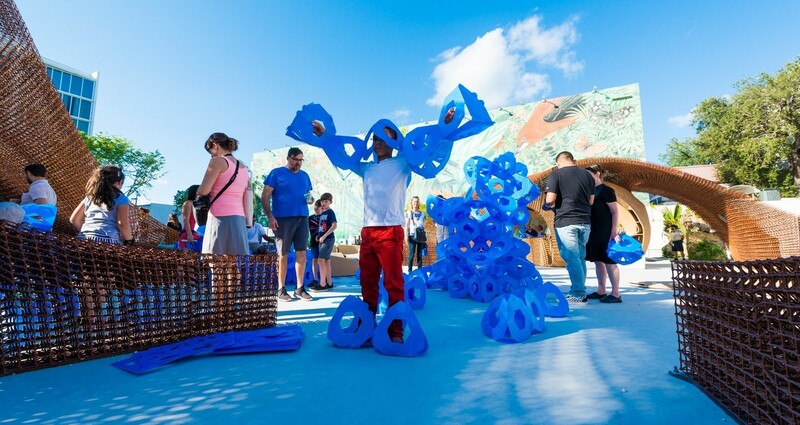 On Sunday December 3rd the museum new home kicked off with special & fun family day in collaboration with Miami Design District in the Jungle Plaza. 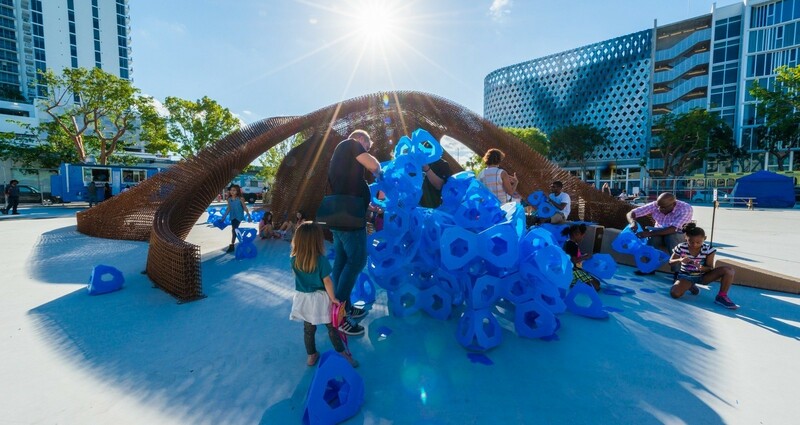 The activity gave visitors in ‘The Everywhere Studio’ exhibition a hands-on participatory experience in now days global design atelier. Everyone can be a designer. The materials will be in use within the museum education department for the next year. 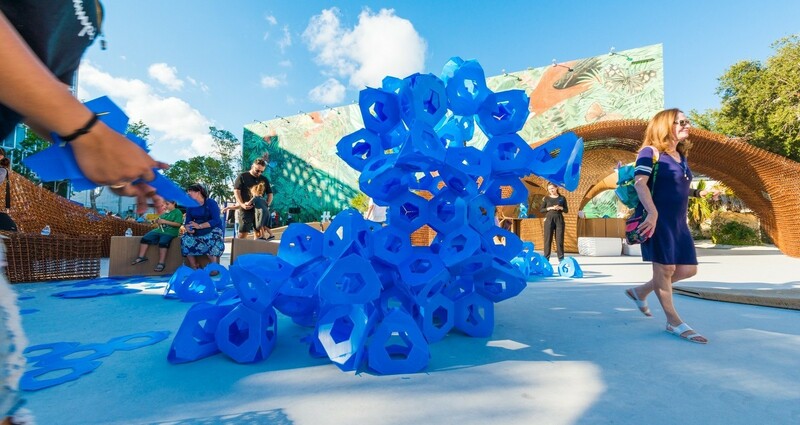 The modular system initially designed for Polytechnic Museum, Moscow in 2015.